Continuing a tradition of appointing the leadership of Harvard Business School (HBS) from within its faculty ranks, President Drew Faust today announced that Chapman professor of business administration Nitin Nohria will become dean effective July 1, succeeding Jay Light, who announced last December his plan to retire at the end of the current academic year. Nohria is co-chair of the HBS Leadership Initiative. He previously served as senior associate dean for faculty development and chair of the organizational behavior unit. 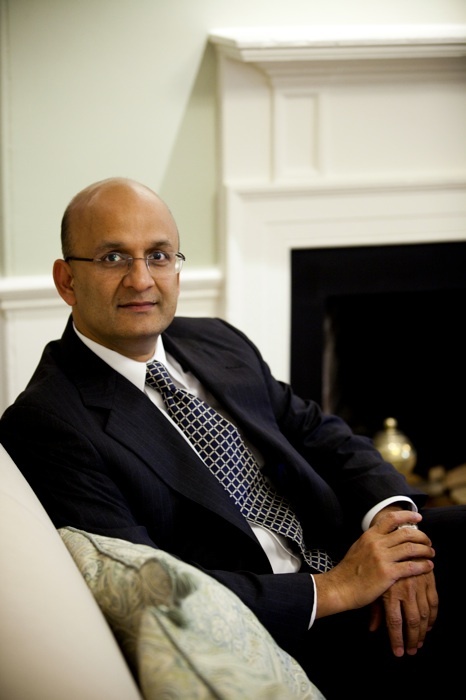 Nohria joined the faculty in 1988, after earning his Ph.D. in management from MIT’s Sloan School of Management that year. He received his bachelor of technology degree in chemical engineering from the Indian Institute of Technology. Nohria’s research interests are described on his HBS webpage. His most recent book, Handbook of Leadership Theory and Practice, was co-edited with Rakesh Khurana, Bower professor of leadership development (and co-author of “The Pay Problem,” just published in the May-June Harvard Magazine). Nohria moderated a discussion on leadership during the HBS centennnial conference, in 2008—at the height of the financial panic that preceded the current deep recession; he was also a leader in conceiving the school's required first-year course on ethics, as reported here. The text of the announcement appears here. HBS has also collected more complete coverage, including a letter from President Faust to the HBS community, and Dean Nohria's remarks to the community, here.